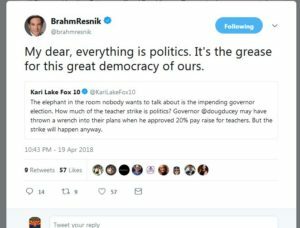 The self-appointed paragon of virtue Brahm Resnik who makes a career of trying to embarrass, shame, and humiliate all those on the political right is now on the defensive after an incredible sexist tweet to Fox10’s Kari Lake. Kari, who on occasion may comment on current events in favor or opposition to Conservative causes earned Brahm’s spurn when Kari dared to question the political agenda of the AZMedia’s new favorite child, the #RedForEd movement. 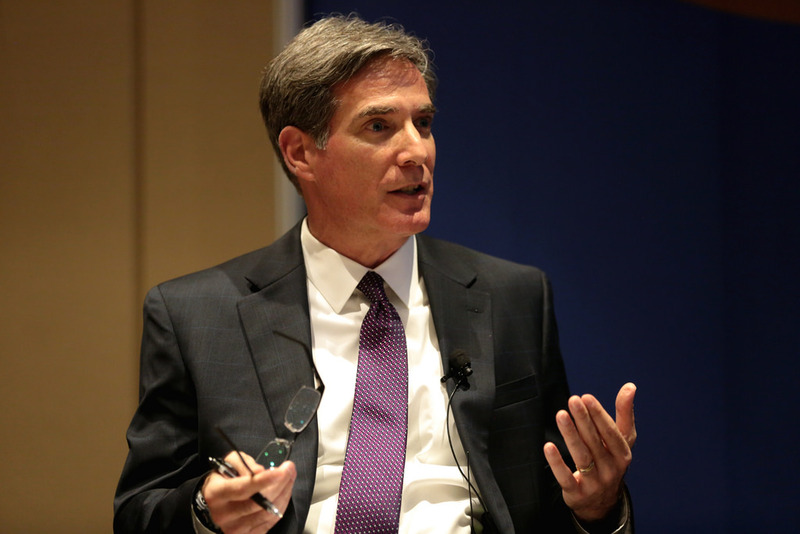 The elephant in the room nobody wants to talk about is the impending governor election. How much of the teacher strike is politics? Governor @dougducey may have thrown a wrench into their plans when he approved 20% pay raise for teachers. But the strike will happen anyway. Brahm has been getting heat all over social media but has yet to address the sexist elephant in the room. As of publication of this post, #RedForEd activists have been targeting Kari in an organized harassment operation in an attempt to silence her. We’ll update this story as needed.